Shelves and GPS/Phone Mounts - AdventureTech, LLC. Affordable custom made shelves for power sockets, switches, voltage monitors, etc. Over the dash mounts for telephones and GPS. 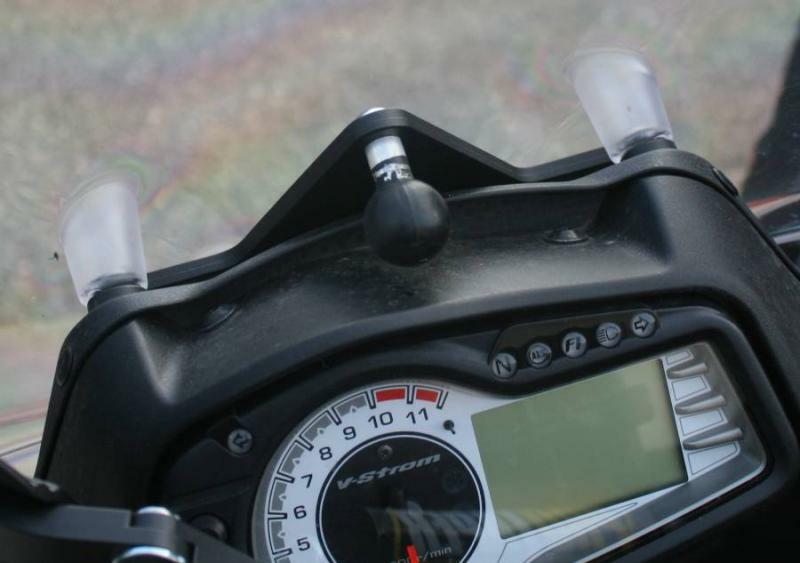 Versions for all models of V-Strom. VERY stable platforms for GPS, cameras, radar detectors, etc. 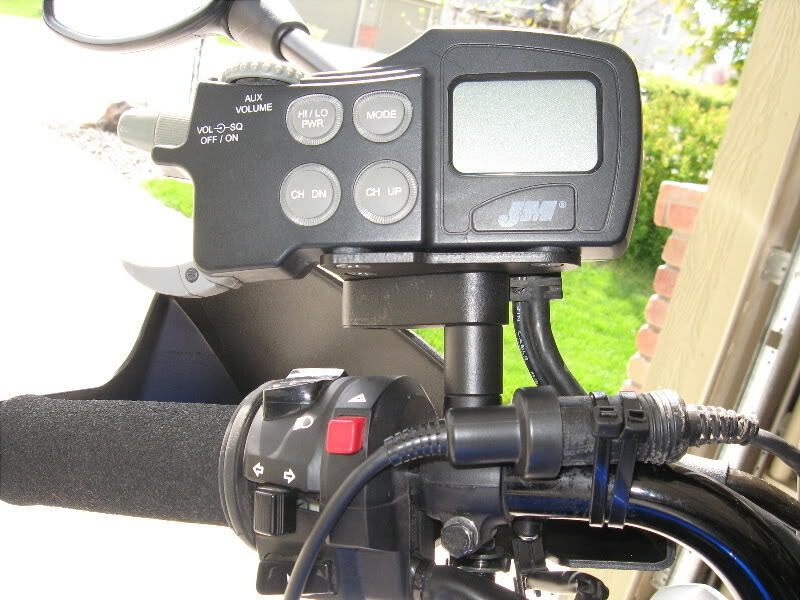 Put you J&M CB radio where you can use it without taking your hand off the handlebar.